This woman is extraordinary. For real. Sequoiah was a classmate of my son’s at Denver School of the Arts since the 6th grade (currently she’s a freshman at Stanford University), so we got to watch her grow over the years, developing her voice over the years to become a fierce advocate for women and minorities. Throughout my time knowing her, I’ve always come away from conversations feeling inspired and energized. In each of her junior and senior years, she wrote incredibly moving and enlightening plays, both brought to life as full length productions as part of DSA’s Black History Show program. Not only did she research and write the scripts, she also directed each with brilliance, nuance and indomitable strength. When I say she’s impressive, I’m only scratching the surface of the bazillions of ways in which she inspires me. I’ve wanted to photograph her for years, so this was a special honor -- a true senior portrait experience. A sun and laughter filled photo session before she headed off to Stanford. 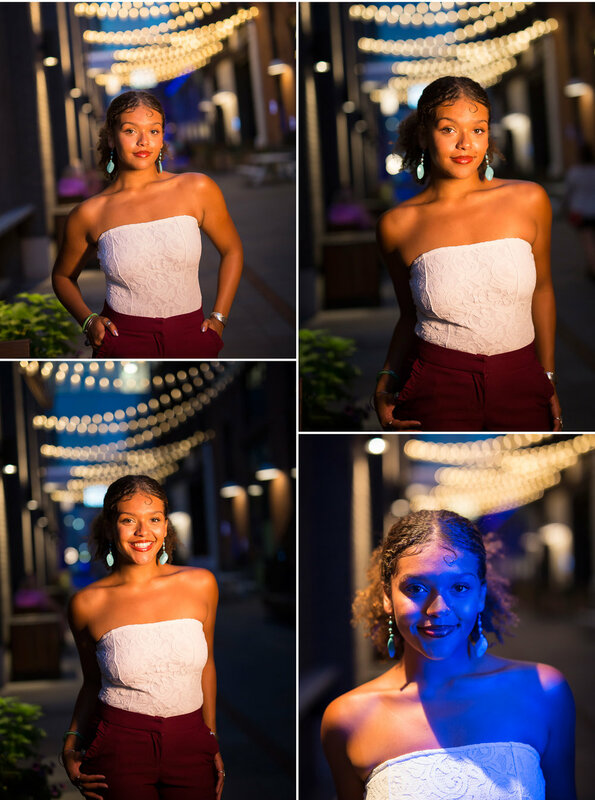 At Sequoiah’s consultation, she talked about her ancestry and familial roots, and out of that conversation, the ideas for styling her session were born. She decided that each look would celebrate a different side of her biracial roots. We were so lucky to have her dear friend Yasmine to help style each of her looks on location, from accessories to wardrobe to hair and makeup. And of course I love that we were able to capture photos of their gorgeous friendship as well. Ultimately this session (as I strive to make all of my sessions!) was about empowerment. Celebrating her spirit of extraordinary integrity, hard work and joy. Radiance. Sisterhood. It was a celebration for all of us, and I couldn’t feel more fortunate to have finally had the chance to work with both of these incredible women. Sequoiah, we are thrilled for the next chapter you’re out there writing! You are an inspiration, a change-maker and we love you!! !